Though situated roughly 40 miles away from the state capital in Des Moines, the rural, 5,000-person town of Winterset (county seat of Madison County) can nevertheless lay claim to multiple pieces of Hollywood history. It’s the birthplace of John Wayne, born Marion Morrison at 224 South Second Street in 1907. And more recently, Winterset was made famous as both the setting and filming location of 1995’s romance, The Bridges of Madison County. 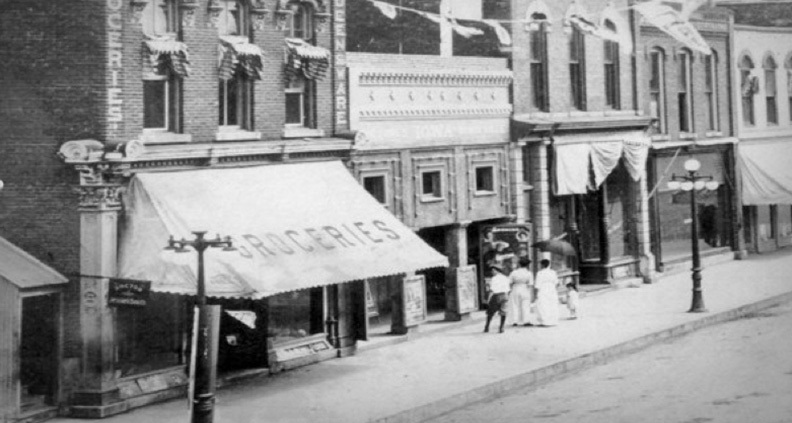 But the town has had a relationship with movies going back to the earliest days of the medium, with the opening of the historic Iowa Theater in 1914, in a building from 1899 that had previously been a grocer and meat market. For decades the theater thrived, ultimately closing in 2015 seemingly for good. 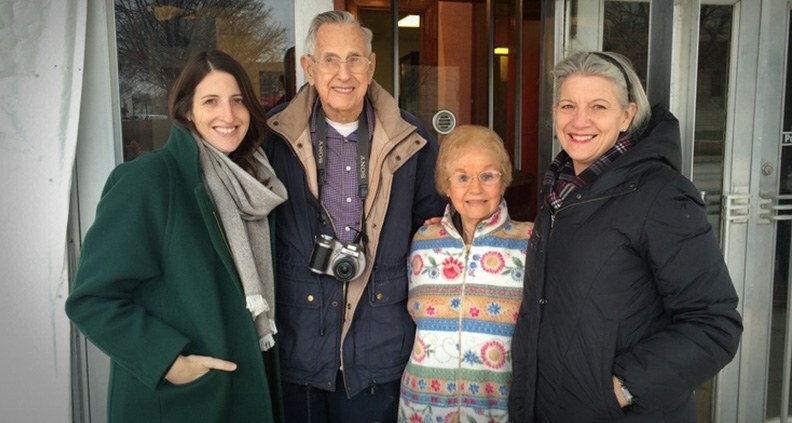 Enter Marianne Fons and her daughter Rebecca—two local Winterset residents, who in 2015 purchased the theater and embarked on a two-year, million-dollar renovation project, eventually reopening the theater to great acclaim in 2017. In the year since, the Iowa has become an essential fixture in the local arts community, exhibiting a well-curated mix of second-run new releases, retrospective screenings, live theater events, music and more. 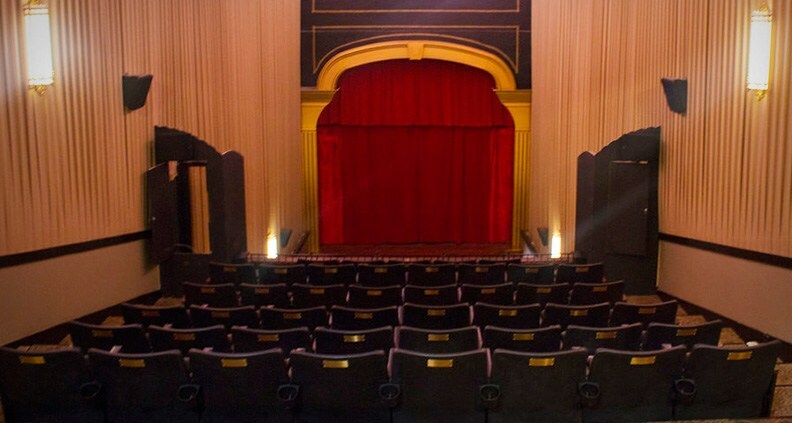 We recently spoke to Rebecca Fons about the Iowa Theater’s history, its ties to the local film community and what programming works (and what doesn’t) as well as the difficulties and rewards of serving a growing community of film lovers. How long has the Iowa Theater been in business? Fons: The Iowa Theater has been a movie theater since the 1920s and was in operation for decades before it was unceremoniously closed in May 2015. 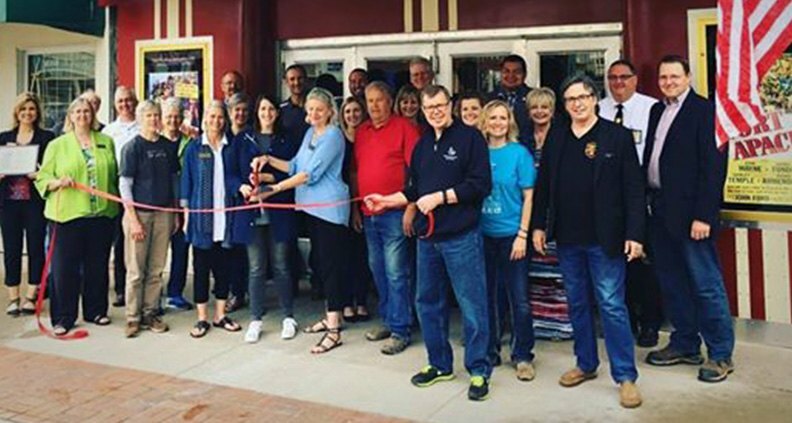 My mother and I purchased the theater that August, and after almost two years and $1 million dollars in renovations, we reopened the Iowa in May 2017. Does your theater have any sort of mission statement? Tell us a little bit about the neighborhood or city you’re in. What’s the local film scene like? Fons: Winterset is a small, rural community in central Iowa. We predict in the next census, the population will be close to 7,000. It’s incredibly charming, with a beautiful courthouse in the center of town—think Back to the Future. Winterset is the birthplace of John Wayne and home to the John Wayne Birthplace Museum, as well as both the setting and filming location of The Bridges of Madison County. So there’s an unexpected film scene here; tourists still flock to Winterset, and the Iowa is a valuable and valued part of that profile. The next closest cinema is in Des Moines or Indianola, 30 and 25 minutes away respectively. So while many small town movie theaters fold due to competition from multiplexes or disinterest, the Iowa benefits from the tourists and locals who value the arts—and specifically film—as part of Winterset’s story. Do you have any interesting stories behind your acquisition of the space? Does the building have any interesting history? Fons: Oh my god, yes. Can I just give you the link? Do you have any unique regular programming that you do? Fons: When we renovated the Iowa, we knew it needed to be a multipurpose space. So our screen retracts, which means we regularly host live music (“Live at the Iowa”) and we are also the home of the local theater group, The Winterset Stage. We’re a second-run cinema, and we host a weekly repertory program called “Way Back Wednesdays,” which include titles like It Happened One Night, Dirty Dancing, Rear Window, etc. Popcorn is half-off on our Way Back Wednesdays. What formats are you equipped to play? Fons: We can exhibit DCP and DVD/Blu-Ray. We also have a secondary screen behind our retractable primary screen for on-stage discussions. Because our throw is so significant—120 feet—we find DCP looks best on our screen. What are some of the biggest challenges you’ve faced in running the theater? Fons: I imagine the challenges we face are similar to most single-screen or small-town cinemas: the business model is just a challenge. Distributors—as much as we love them—don’t necessarily care that you’re a lovely non-profit cinema in a charming town and that you only charge $6 a ticket. On average, we’re handing over 35-50% of our grosses before the patrons even make it to the concession stand. Popcorn is cheap, but good staff (and our staff is amazing) isn’t. Neither are other operational costs. So we’ve got to be nimble, cut costs and open up revenue models. On-screen advertising, rentals and special events definitely help. We’re launching a membership program. We’re planning fundraisers. There are all kinds of fun challenges to face. From week-to-week, month-to-month we can go from top of the world to feeling discouraged, all based on how many people decided to leave their house and buy a ticket. What programming choices have been unexpectedly successful? Or have there been films that you’ve programmed that you maybe wish would have done better? Fons: Oh man, every film we put on screen has a story. I’ve found that, for the Iowa and our community, family-friendly films and chick flicks are our strength. The Greatest Showman was a huge hit, and a bit of a surprise. Titles like Bad Moms Christmas also brought out huge crowds—and sold lots of wine! We’ve also had disappointments. Isle of Dogs barely cracked 50 people over five screenings, and even Won’t You Be My Neighbor was—though steady—a lower ticket seller. We’ve only been re-opened for a little over a year, so we’re always learning more. “Way Back Wednesdays” can similarly ebb and flow. We found out the community does not really like horror films, but that classic romances do really well. Put a Hepburn on the screen and we’re guaranteed at least 40 in the audience. Of course, anytime we screen a John Wayne film, we pack the house. What’s your approach to social media and marketing? Fons: We rely heavily on social media and marketing to get the word out about our schedule. We send a weekly newsletter every Monday with MailChimp that reaches about 500 recipients and we post on Facebook one or two times a day, to over 2,000 followers. I write a weekly review for the local paper, and of course we have our gorgeous marquee, which we change for each new film. Fons: I grew up in Winterset. Our house was—and still is—just blocks from the Iowa. And being a nerdy kid in a small town, I felt pretty trapped. I went to the movies every weekend, sometimes seeing the same film over and over again because it wasn’t just an escape. It showed me a larger world. Movies have the ability to expand our worlds and inspire us, and also bring communities together. I remember after the Iowa re-opened I was walking past after a film let out. Groups of people were animatedly talking under the shining marquee, laughing and talking about the movie they’d all just watched together. It brought tears to my eyes, and still does; neighbors and friends, strangers and loved ones sitting together in the dark, sharing a movie. We’ve brought the dazzle of Hollywood back to Winterset. The movies are for everyone. To learn more about the Iowa, what’s playing now and what’s coming up, check out the venue’s website. Do you have a favorite local art house you’d like to see profiled? Leave your suggestions in the comments.